Christos and I have such a busy schedule that making the right food choices and having enough energy for all we do is an essential part of our everyday living. There are all sorts of things on the market, so many vitamin choices, shakes, it can be overwhelming to choice the right one. All we can say is do what works for you! But stop doing things that get no results! Why keep doing the same thing over and over and over again to not feel better or look better? That’s the point were we both reached in our personal fitness, paddle and nutrition goals. We both wanted to maximize our energy levels and paddle stronger, faster and harder! Christos wanted to put on weight, muscle and be more cut up. For me, of course I wanted to loose and actual see some definition of all my muscles! We both ate out a lot due to our crazy schedules, always got what we thought were heathy eats, fish, salads etc… But we knew something had to change. And learned that eating out is simply sodium hell!!!!!!! With help from out Bodi-Phat coaches we were given these simple options to make life a hell of a lot easier and we wanted to share them with you! Are you a coffee junkie? Well I’m sure you read all the no no’s on your Starbucks lattes😂 but we have a quick fix for you. 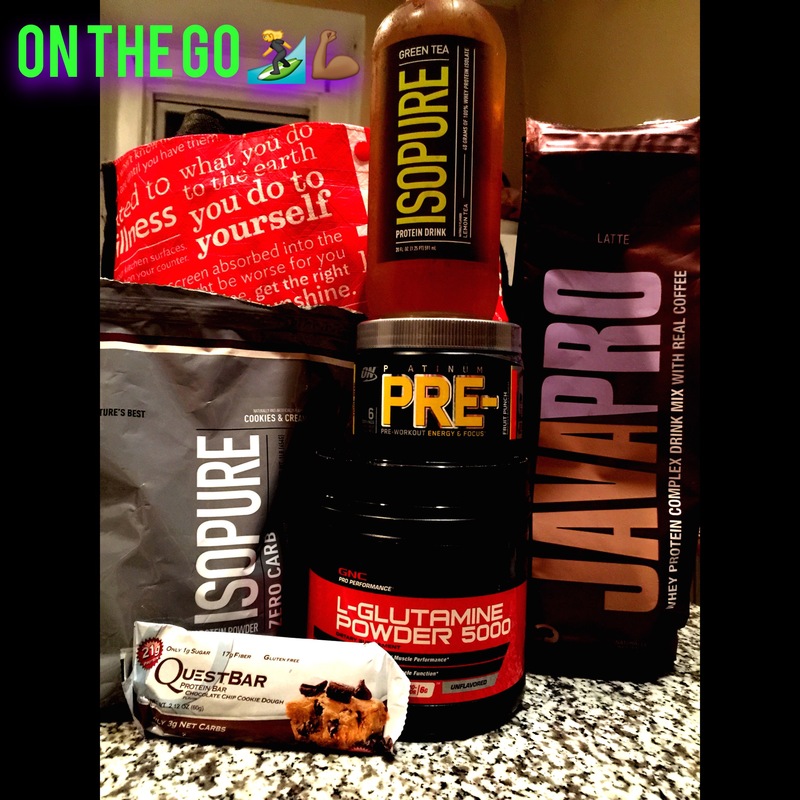 Take a look at the JAVA pro protein shakes! You can make some great shakes with these or add almond milk or just water and have an ice coffee meal replacement! So much better for you as people should not just run on dunks! That commercial makes me cringe that we can’t be smarter then that! Isopuree in the glass bottle pre made and mixed, just grab and go. (all these products can be found at GNC) My flavor choice this week is the green tea. It has 40 grams of protein in it (can be used for two meals depending on your bodies needs and what you goals are) The green tea flavor gives me that caffeine boost and reminds me of my ice venti green tea from Starbucks but with protein and clean!!!!! Put it over ice and thank me later! The last two we will talk about today are pre-work and recovery. If your getting out of work late or you need a little boost try working out with some pre-work instead of that afternoon Starbucks run. Our flavor of choice right now is fruit punch. Recovery!!!!! It’s so important! Besides getting body work done with a massage therapist, try adding glutamine to your shakes. It is a great recovery for you to add into your nutrition plan. Hope these shakes and bars help you to make better choices in your day to day life! And give you the energy, satisfaction and helps you get closer to the results that you are trying to achieve! Eat clean , train dirty, play hard and paddle harder! ← A little insight on 2016 and Whats to come….